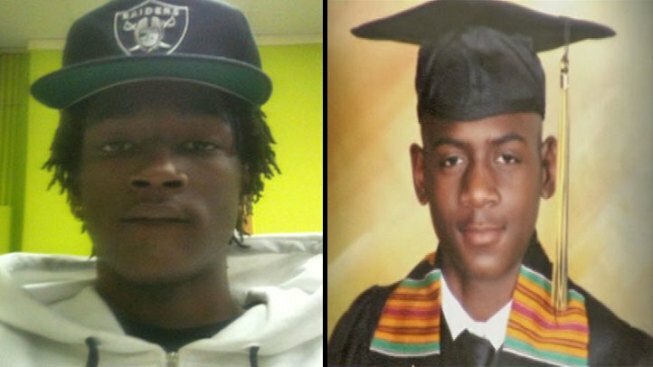 Dantril Brown (L) and Jawan Ross (R) were killed in a shooting at a Church's Fried Chicken restaurant. Family and friends said goodbye Thursday to a teen killed last month in the Church's Chicken shooting. Funeral services began at 11 a.m. Thursday for Jawan Ross, 16, at New Beginnings Church, 6620 King Drive. Seven people were struck Dec. 27 when bullets started flying at the Englewood restaurant at South Halsted and West 66th Streets. Ross and 17-year-old Dantril Brown died from their wounds. Police said the shooting stemmed from an argument that started outside. Dantril Brown (L) and Jawan Ross (R) were killed in a Tuesday night shooting at a Church's Fried Chicken restaurant. Pastor Corey Brooks, who began a vigil 44 days ago atop an abandoned motel, temporarily descended the roof to officiate at the funeral. Brooks aims to raise $450,000 to purchase the abandoned Super Motel and use the land to build a community structure. So far he has raised $215,000. A 23-year-old Chicago man has been charged with first-degree murder and ordered held without bail.